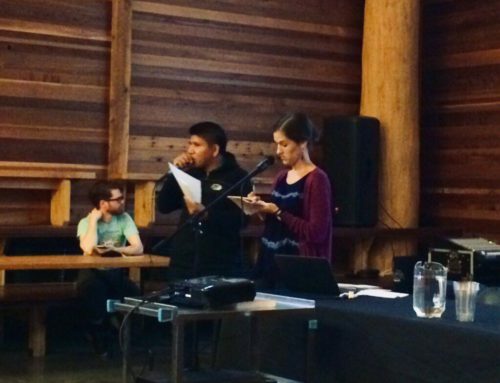 The “Justice for genocide: A survivor’s story” fall speaking tour left Wisconsin on November 13 to embark on the final stops of the tour: Laramie, WY; Denver, CO; and the Bay Area, CA. 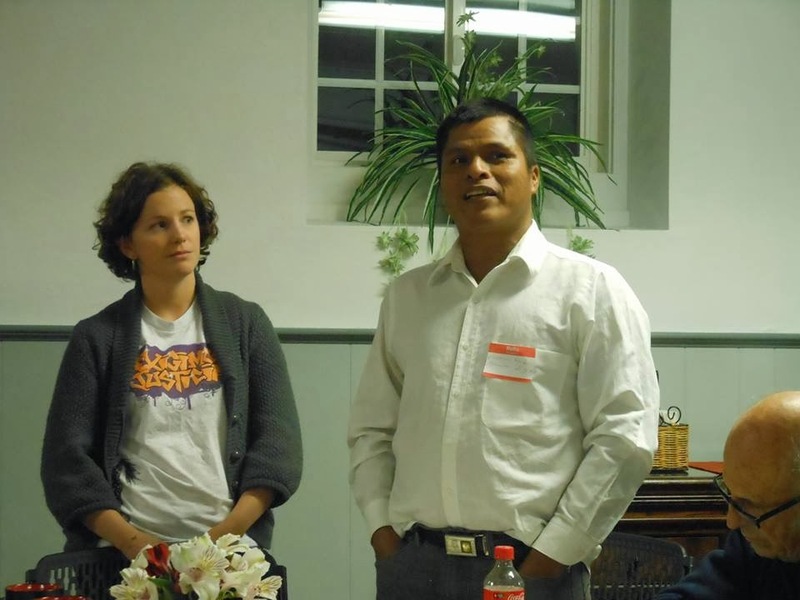 The Wyoming Guatemala Accompaniment Project (WYGap) welcomed tour speaker, Association for Justice and Reconciliation President Anselmo Roldán, and NISGUA Programs Coordinator, Ellen Moore. 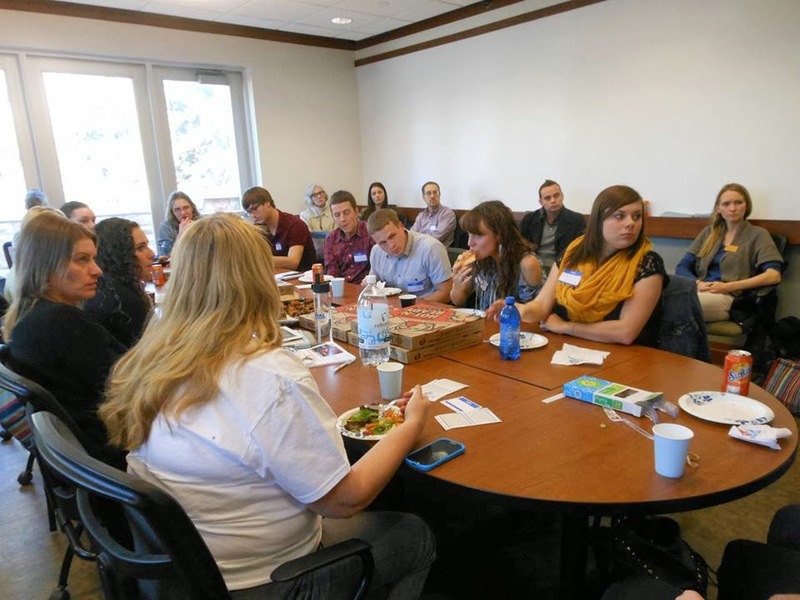 WYGap organized a total of eight events over a day and a half, the majority hosted at University of Wyoming in Laramie. 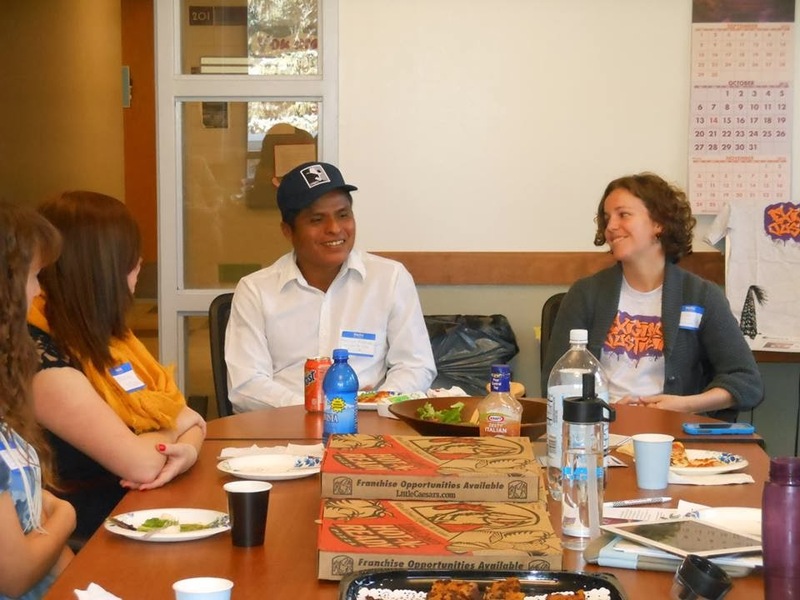 Anselmo connected with university students from various departments during a dynamic round-table discussion over lunch. 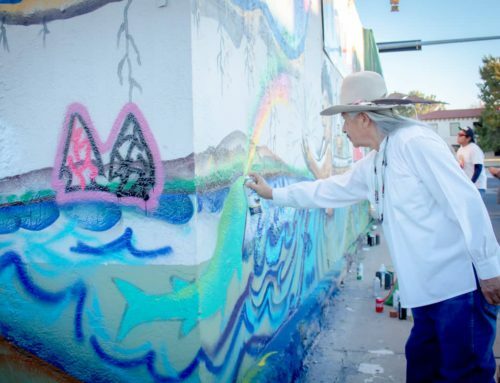 Later, he gave a public presentation at the university, drawing people from surrounding communities, thanks to strong local media promotion of the event. 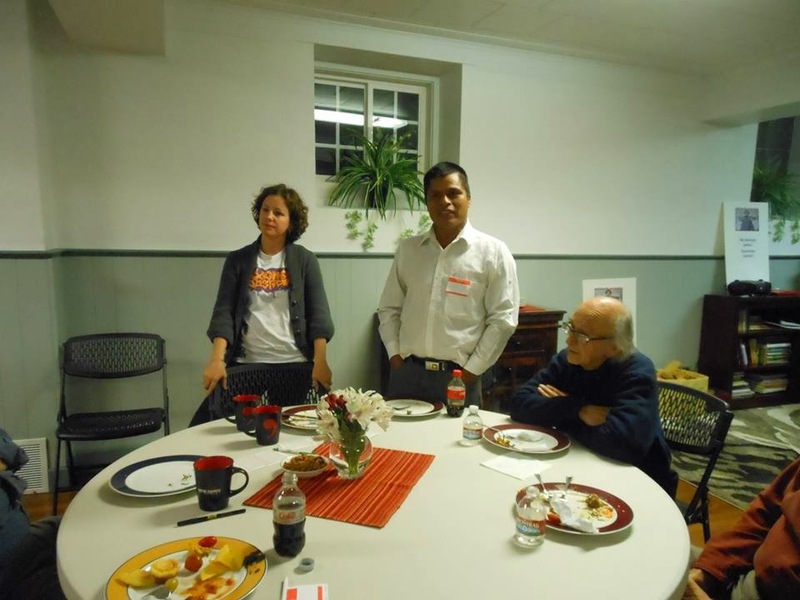 Anselmo finished the evening with an interfaith tapas dinner organized by local faith communities followed by a reception at the university. The next morning, Anselmo spoke to a master’s students class and concluded the Laramie visit with a prayer circle before heading to Denver. In a world upheld by impunity there can be no justice and gross human rights violations cannot be stopped. We must punish these men and break the cycle of violence. Democracy cannot function without justice and the rule of law. 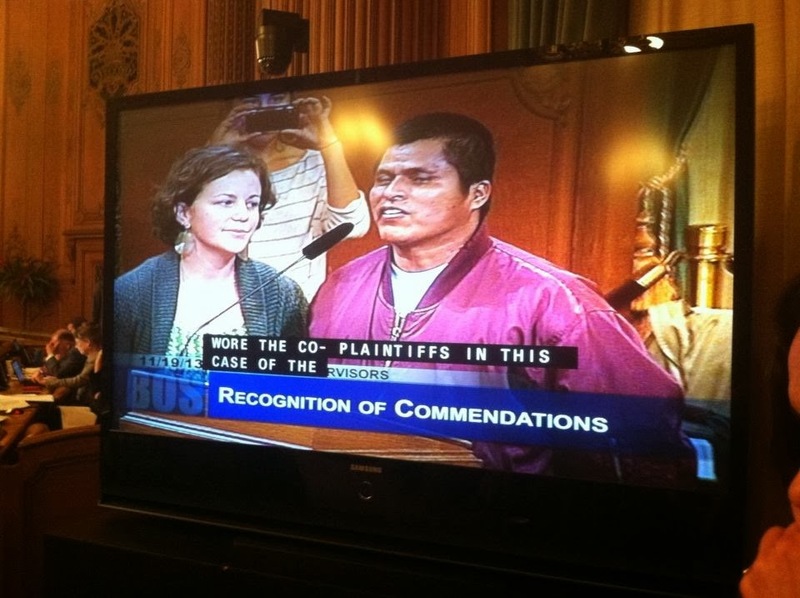 I am a Guatemalan immigrant and justice must be served! Todos tienen el derecho de seguir adelante con la memoria reconocida y la seguridad garantizada. Les apoyo a Uds. en la lucha por justicia y les admiro la valentía. Injusticia es injusticia. Estamos en solidaridad. Por favor, no dejen de luchar. 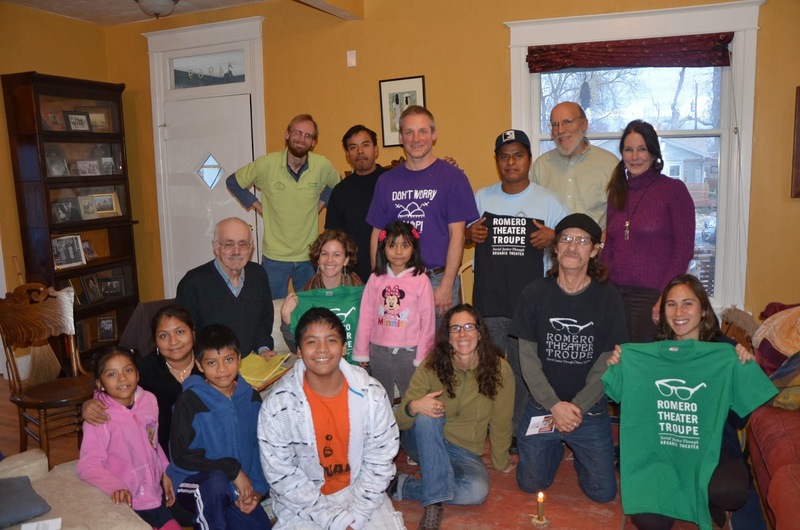 In Denver, CO, Anselmo had the unique opportunity to meet with the Romero Theater Troupe, an inspiring group of social justice focused local performers. The Troupe truly connected with Anselmo and the work of the AJR and is excited to continue to build their relationship. While in Denver, we were honored to join the Denver Justice and Peace Committee (DJPC) for their annual awards night. 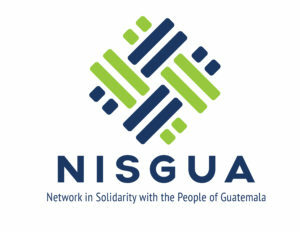 This year, DJPC chose to to present NISGUA with their Global Justice and Peace award to recognize our work and commitment to justice! See a full photo report of the awards evening here! To deny the sentence is to deny the value of lives lost. Each of those who died needlessly has value. The sentence is a recognition of that which was taken from us all. Ríos Montt is responsible for the massacre of the people and has torn the fabric of the Mayan society, which still lives in fear. He is guilty and needs to pay. Los responsables del genocidio deben de pagar por sus abusos a la dignidad humana. Es justo. The tour reached its final stop in the Bay Area, CA, also home to NISGUA’s US Office and Operations Coordinator, Megan Whelan. 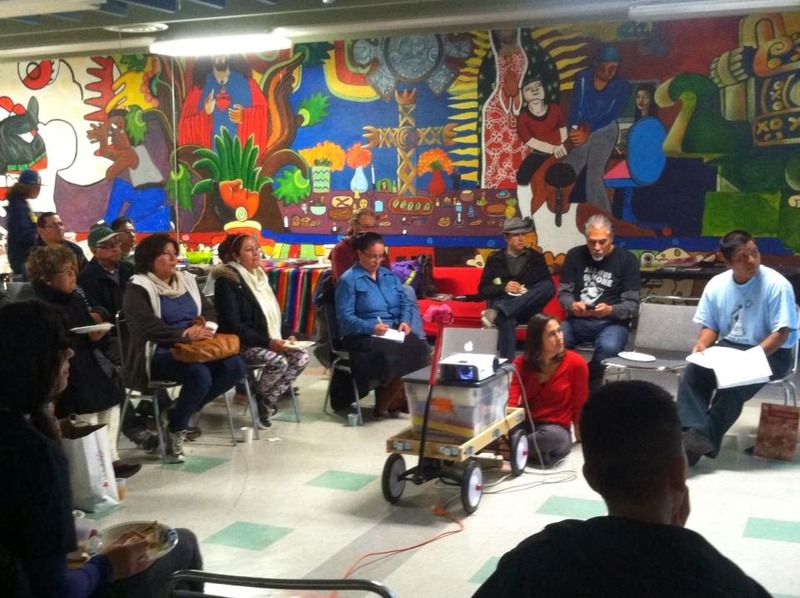 Anselmo presented at a community center with a primarily Spanish-speaking audience from the Mission district and surrounding areas. 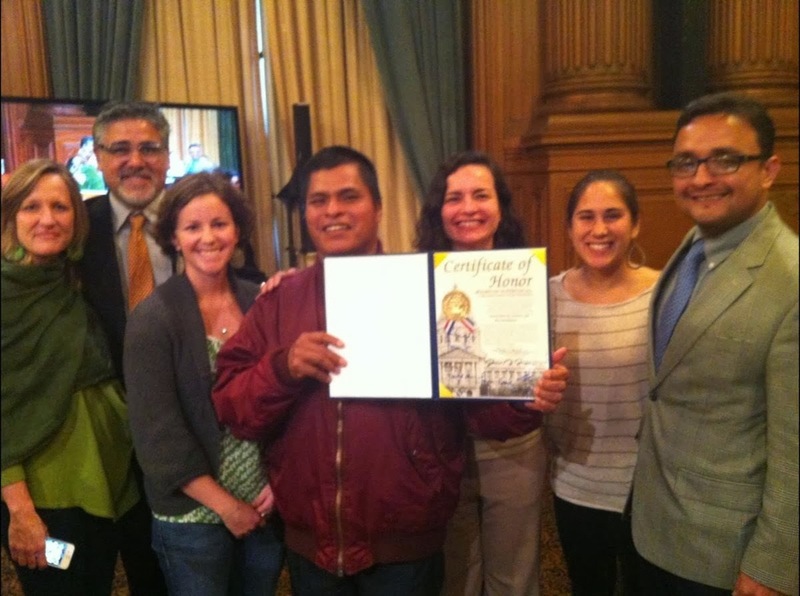 Representatives from community organizations in the Bay Area came out to hear directly from Anselmo. Anselmo connected with the San Francisco community once again at a public forum at the City College of San Francisco. Anselmo’s story impacted the packed room, filled with students, faculty and people from the local community. Once again, the event was widely attended by Spanish speakers, including many Guatemalans who also suffered during the war. Anselmo finished his visit to the Bay Area and closed out the three-week tour as the keynote speaker at 6th Annual Plátanos dinner organized by the Guatemala News and Information Bureau. Anselmo received a standing ovation from dinner attendees for the AJR’s incredible gains this year in the process of bringing Ríos Montt to justice for genocide. The lives of Guatemalans matter! Because life everywhere matters! This sentence is a bold stand for life, for honesty, for integrity, and for family history and future. The victories of the AJR are victories for all of us around the world who care about humanity, justice and love. Thank you for your struggle! 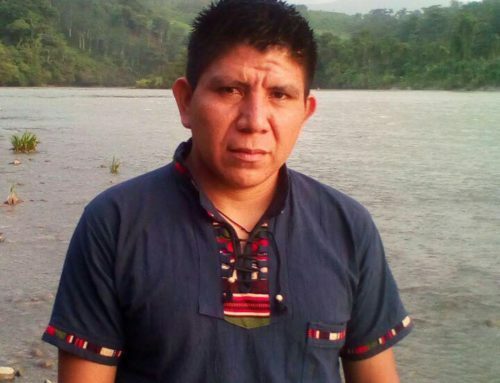 Justicia y la verdad en Guatemala son importantes para todo el mundo. 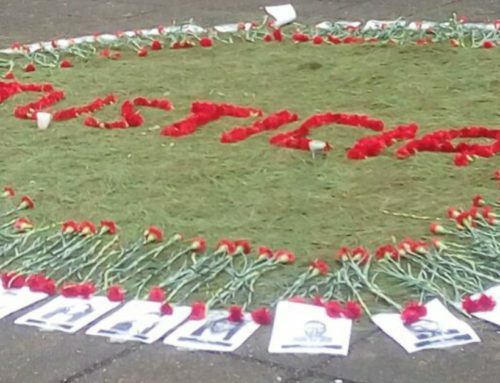 Este ejemplo – el ejemplo del trabajo de AJR – demuestra a todo el mundo que NO aceptamos impunidad cuando hay graves crímenes contra la humanidad… Aunque hay gran poderes que quieren impunidad para los criminales políticos en Guatemala, el poder del pueblo y de la gente siempre supera y siempre tiene lo mas fuerza. Hasta la victoria siempre! Y gracias por todo lo que hacen. I support the genocide sentence because as a young person, I feel that it is important to uphold your own country’s law (and international law) and to severely punish someone who ruthlessly killed/massacred a group of people. Montt is a dangerous man, and it’s absorb to think that after killing so many Mayans, he, of all people, can walk away without charges. Those who disregard the basic human right to life must be brought to justice and a message must be sent that justice is not a commodity to be bought and sold. 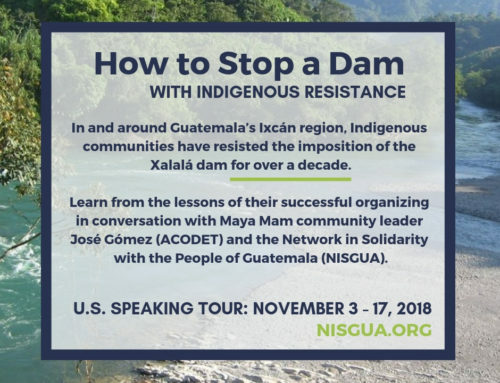 Para mi es muy importante que se haga JUSTICIA por las masacres/ genocidio y otros crímenes contra el pueblo Indígena Maya en Guatemala. Estamos en solidaridad aquí en San Francisco, CA y vamos a apoyarlos, lo amamos lo bendecimos y cuenten con nosotros. While our tour has come to a close, we continue to support to the AJR through our petition and postcard campaign. Sign our petition against amnesty for Ríos Montt and send the AJR a personal message in support of the genocide sentence here. 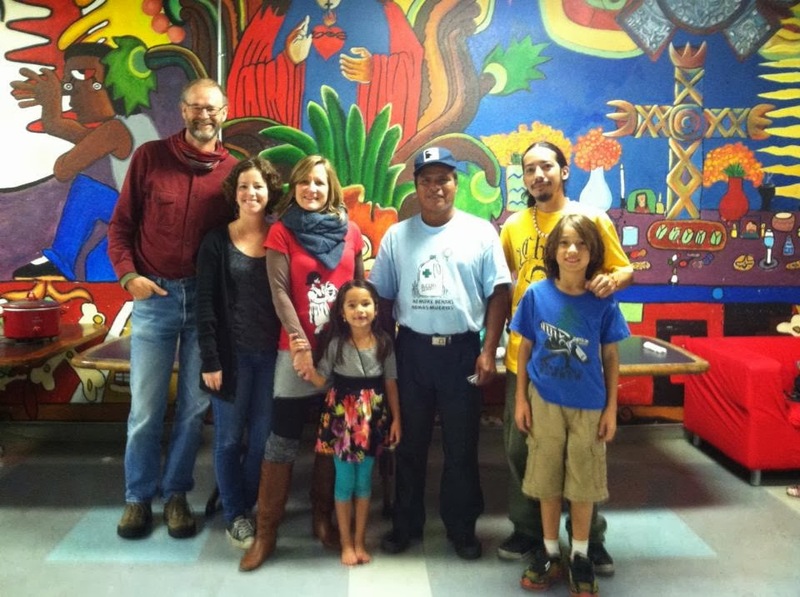 Read about our previous tour stops in Tucson, D.C. and Los Angeles and the Midwest. See what cities we’re headed to next by visiting our website.